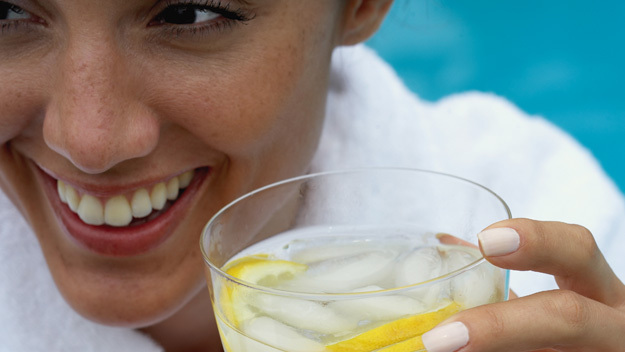 The lemon detox diet is a fabulous way to do a total body cleanse. This diet has been use for decades with success by many people. 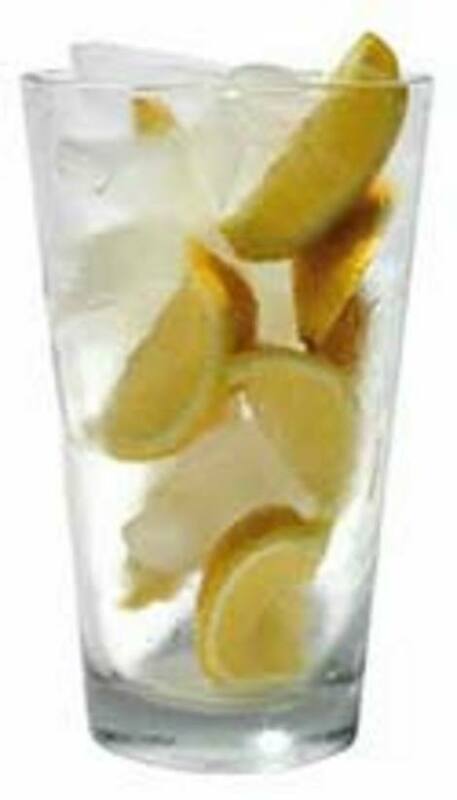 The creator of the lemon detox diet is Stanley Burroughs which was named the master of detoxification. He created the lemon detox diet in 1940. Considering the we are still using the lemon detox diet today we are safe to say that it passed the test of time. You should keep this diet for 10 to 40 days. I recommend you try the 3-5 day version first and see how it goes. While on the diet your body gets lots of the nutrients it needs from the lemon juice. You will drink a lot of lemonade while detoxing your body using the lemon detox diet. The lemonade you drink isn’t an usual lemonade. It is made out of purified water, maple syrup, red hot pepper and of course lemon juice form 1 lemon. Each morning you also will have to drink a salt and water solution and before going to sleep you will drink tea that has a laxative effect. You must understand that this isn’t a weight loss diet. The purpose of this diet is that of cleansing your body and eliminating all the toxins from it. Of course you will lose some weight but it won’t be all fat loss. Most of the weight you will lose will be determined by the elimination of the water that was stuck in your tissues. Once you stop the diet you will regain most of the weight lost pretty fast. Many people make the mistake of thinking that the lemon diet is a weight loss diet. No it is a detoxification diet, meant to help you eliminate the toxins form your body. If you wish to lose weight there are plenty of weight loss diets out there. If you go on the lemon diet for a long time you will lose weight and do serious damage to your body. And once you go off it you will regain all the weight and some excess fat too. By detoxing your body from time to time all the toxins that got accumulated in time get eliminated. The result will be easy to spot. You will feel lighter, your skin will look much better and you will have more energy. It is like taking you car for a tune-up. You don’t have to wait for your body to break down and become ill because of all the toxins found in it. Take action and take care of your body. The lemon detox diet isn’t for everybody. If you have heart problems you shouldn’t use it. Also if you have problems summoning your willpower at will and getting motivated this diet isn’t for you. The lemon detox diet isn’t simple diet to keep. The temptation of food can be become overwhelming, especially toward the end of it. You will have to battle the inner demon of food cravings and desires. Many people report a period of discomfort at the beginning of the diet. Your body isn’t used with the changes and it takes a while for it to get accustomed to them. Your body is used to get all sorts of toxins not eliminate them. The first days can be a little challenging. Some people choose to do the lemon detox diet for only 4-5 days. Others do it for 2 whole weeks. I must congratulate those that have the willpower to last 2 weeks on this difficult detox diet. Many claim that the lemon detox diet helped them gain better health. The diet will dissolve and eliminate the toxins form your body, will cleanse your kidneys and digestive system and will purify your glands and cells. It will also release the pressure and irritation of the nerves and blood vessels. The diet plan is pretty simple. You will drink twice a day tea that has a laxative effect. You will also drink a sea salt and water solution once a day. It is recommended to drink the laxative teas because of all the lack of dietary fibers while on this diet. You don’t want to become constipated. You will drink over the day between 6 and 12 glasses of lemonade. You can prepare the lemonade the following way: mix 12 glasses of water, 12 spoons of maple syrup, the lemon juice form 6-7 lemons and half a spoon of crushed red hot peppers. You can also drink as much water as you desire during the day. No other drinks or foods should be consumed. You follow the diet and then you can go back and eat what you usually eat. But you should start slowly and eat easily digestible foods first, just after finishing the diet. A vegetable soup is a good idea. You should avoid eating fruits and vegetables until the second day. For more details I recommend you buy the book of Stanley Burroughs, the father of the lemon detox diet. If you choose to follow this diet for 10 days straight you might run in a series of health problems. You might get diarrhea and the taste of salt can make you puke. You might lose 15 to 20 pounds during the diet but you will be sluggish after it. It is also possible to feel a rush of energy at the end of the diet. Once the diet is over your body will demand healthy food. You might wake up with headaches, a vomiting sensation, tiredness and irritability. Most of these symptoms are usually present for a brief period of time. If you feel something is wrong during the lemon detox diet I recommend you put and end to it fast. A warning if you want to use this detox diet. With great power comes great responsibility. The lemon detox diet is very powerful and can have fabulous healthy effects or disastrous results. Always, and I mean ALWAYS consult your doctor before going on the lemon detox diet. Any good doctor will volunteer to monitor your health while you detoxify your body. That way you reduce the chances of inflicting irreversible damage to your body. I recommend you keep the lemon detox diet for 3 days and see how it goes. I think 3 days of only drinking lemonade and lots of water is more than enough to detox your body. Plus you can get the willpower necessary to resist 3 days. If you think your body is oozing with toxins you can try the 10 day version but only under medical supervision. Also don’t abuse the diet too much. You should use it to deotx your body at maximum twice a year. I believe that once a year is more than enough. It’s up to you. But if you do it twice a year make sure that at least 6 months pass between the diets. I wish you good luck achieving a total body cleanse. After the lemon detox diet is over please come back and share your experience. Me and all the other readers would appreciate it a lot. What’s Up With The Graham Diet? ← Are cleansing diets any good? Should you follow a cleansing diet?